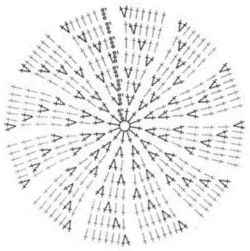 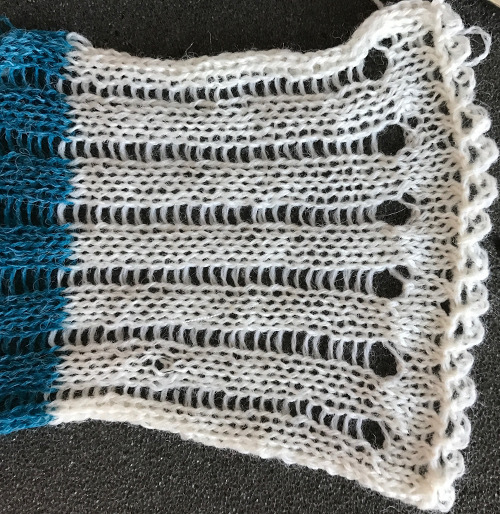 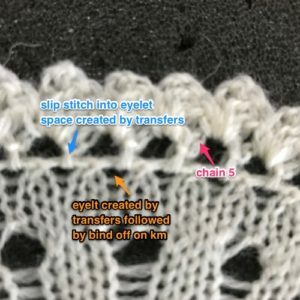 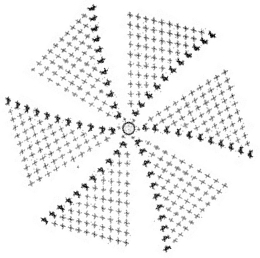 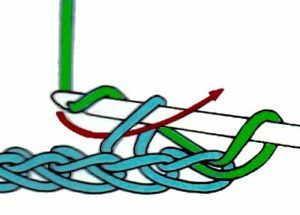 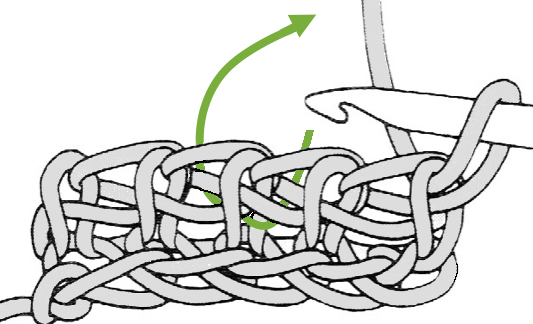 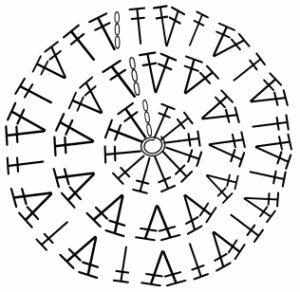 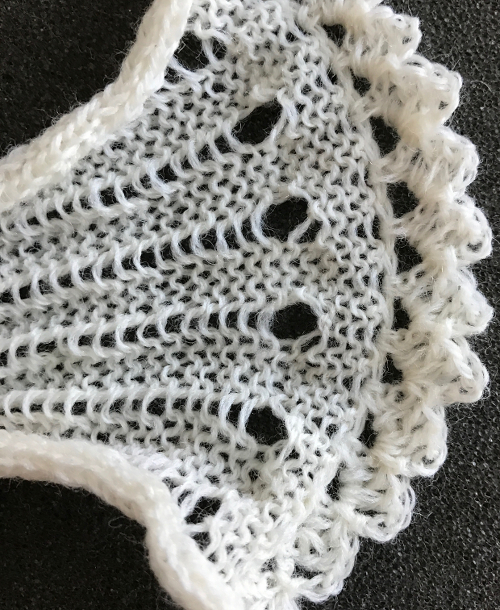 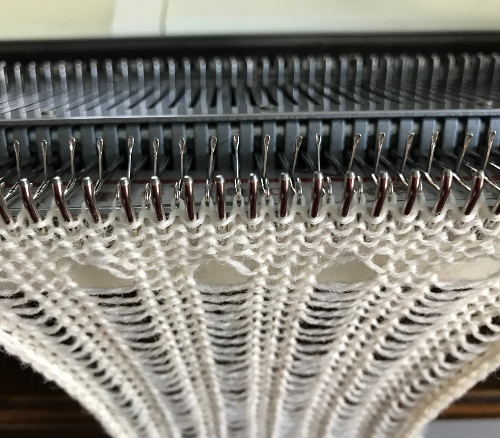 I previously posted on illusion knitting, and on one approach to designing simple patterns using the technique. 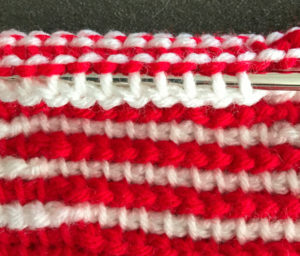 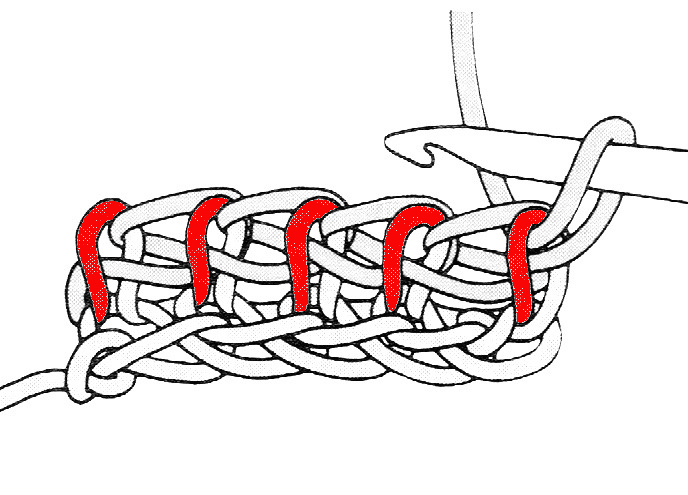 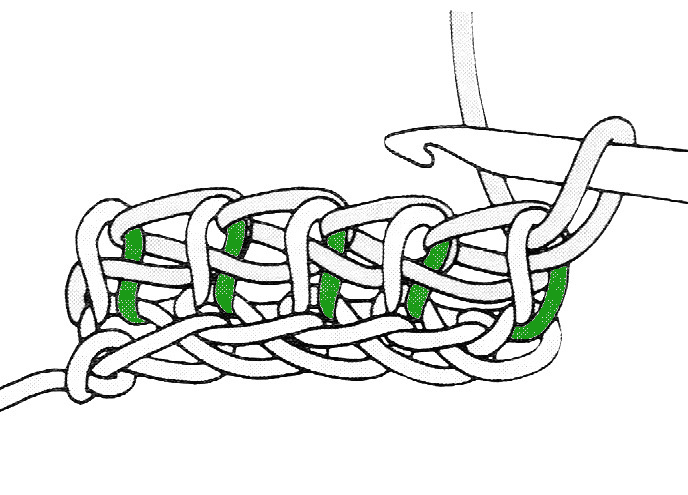 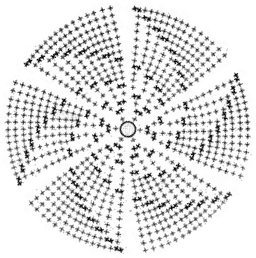 The first 3 images below are of the swatch illustrating one of my hand knit patterns. Since I am now involved in a group interested chiefly in crochet, I got curious about executing the fabric in crochet. 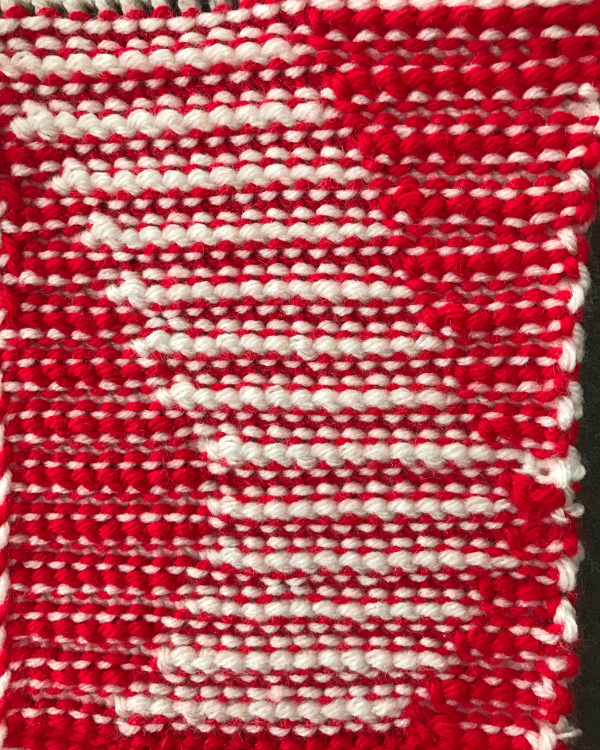 Part of the problem is that enough texture needs to be created to be able to read the “shadows”. I tried crocheting in different parts of the chain, around the posts in the row below, and ultimately went back to afghan stitch. 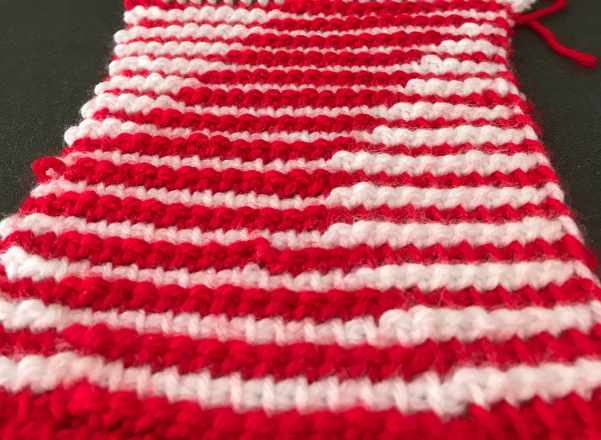 I had not used the latter since making blankets first for my son, and then for my grandchildren. 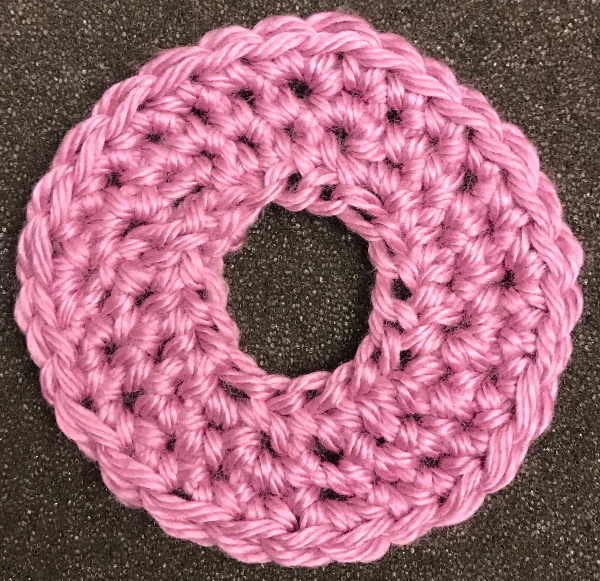 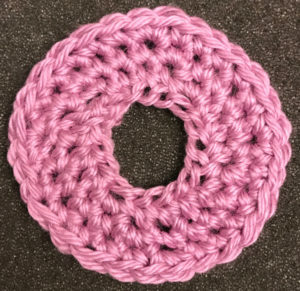 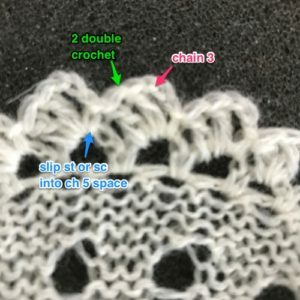 Those of you new to the technique can find some instruction at the Red Heart website , and in a beginning how to video from Crochetcrowd. 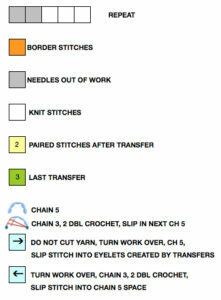 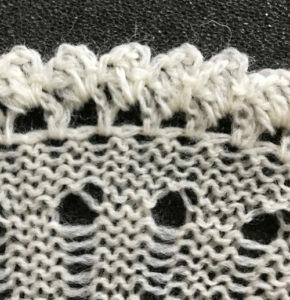 I used Tunisian simple and Reverse Tunisian simple stitches to create my pattern. 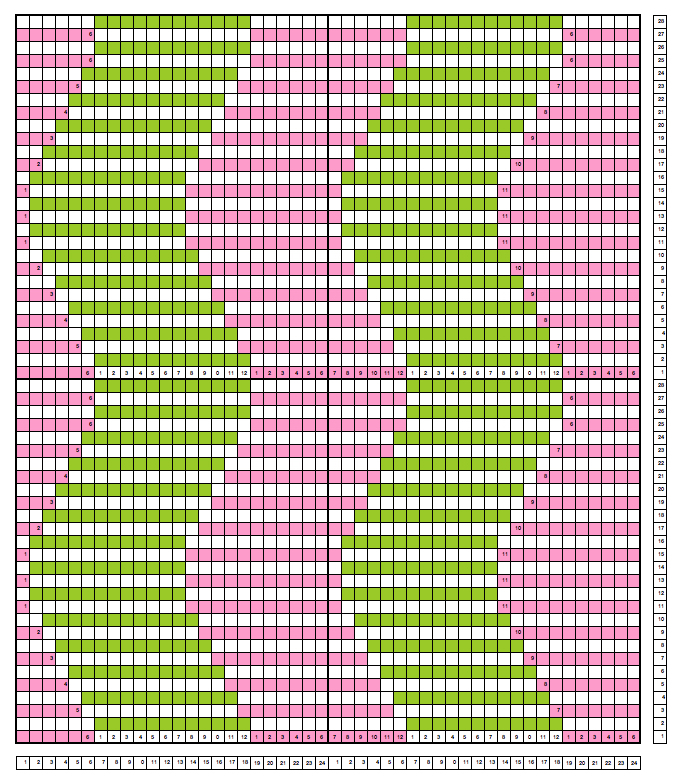 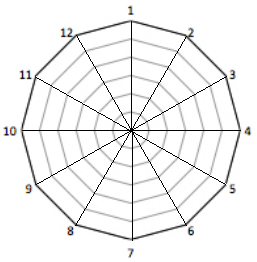 In this technique, chart texture rows are read right to left. 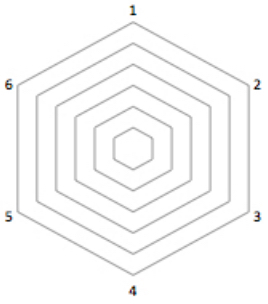 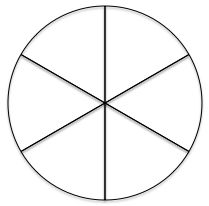 The return rows are not illustrated. 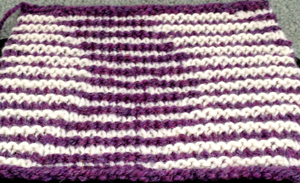 It takes 2 passes of color one, followed by 2 passes of color 2 to complete one pattern row. 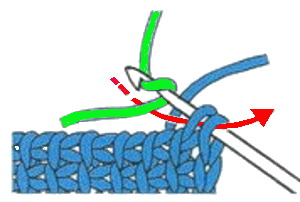 Yarn is carried up the side, color is changed in the same manner as in any crochet stitch. 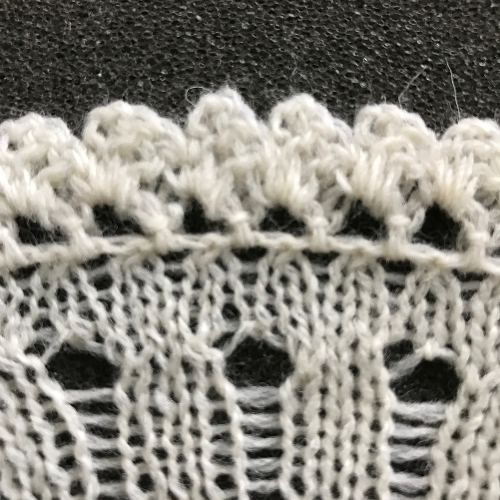 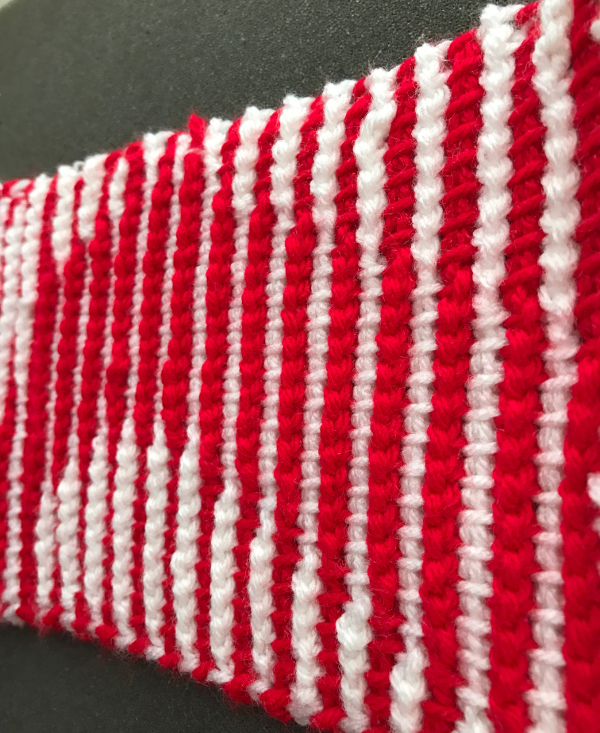 In my test swatch, no border stitches were planned for or included. 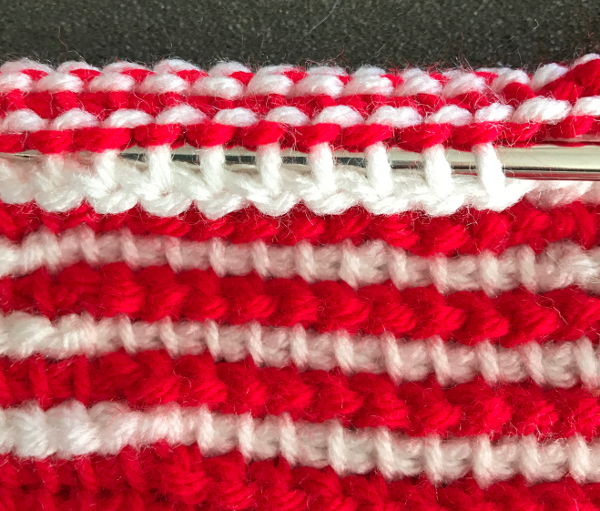 It is always wise to test the repeat in repeat before working the fabric. 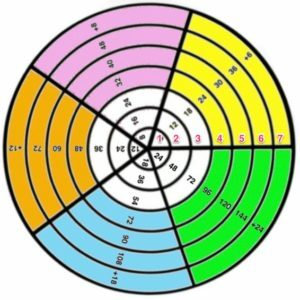 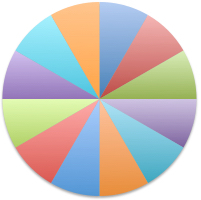 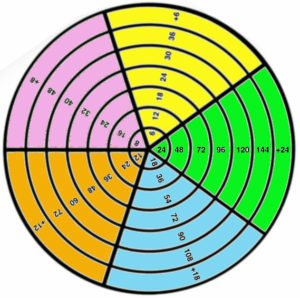 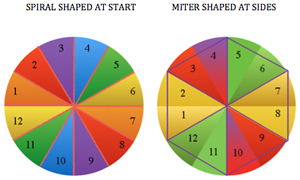 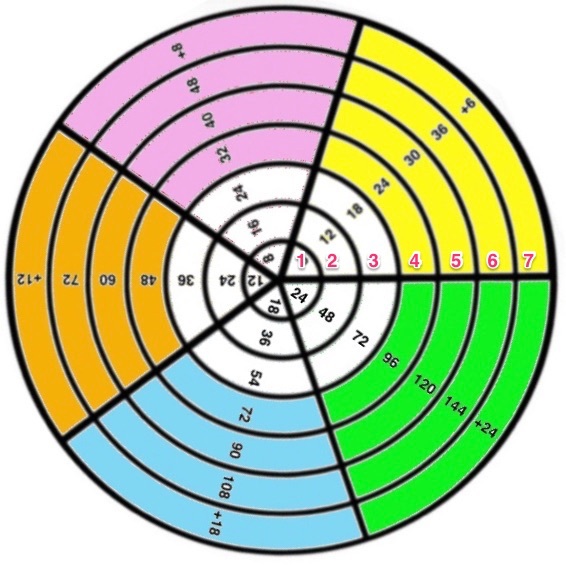 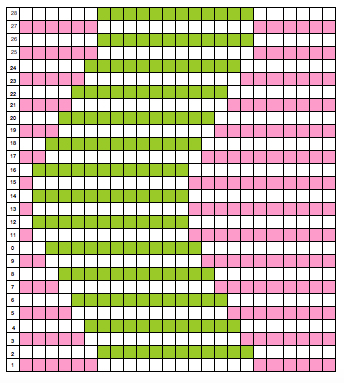 columns A: color used B: forward and backward pass for each color C: number of passes to complete a single repeat. 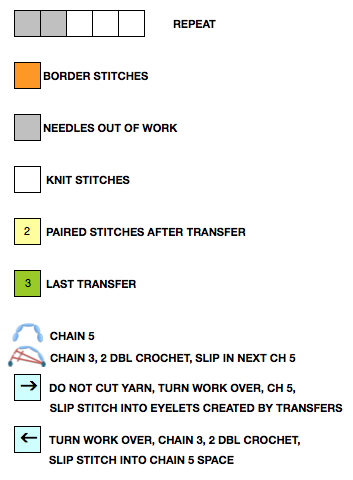 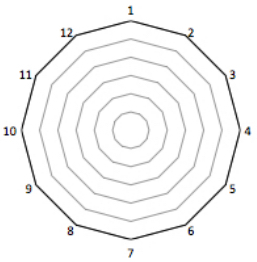 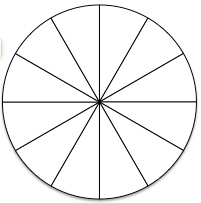 The highlighted box at bottom indicates a completed single design row. 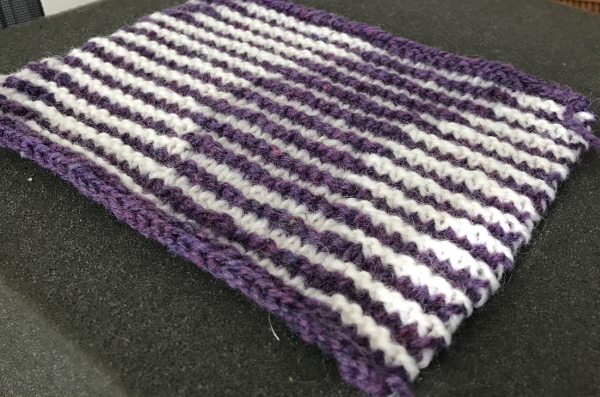 Only 2 colors are in use in the swatch. 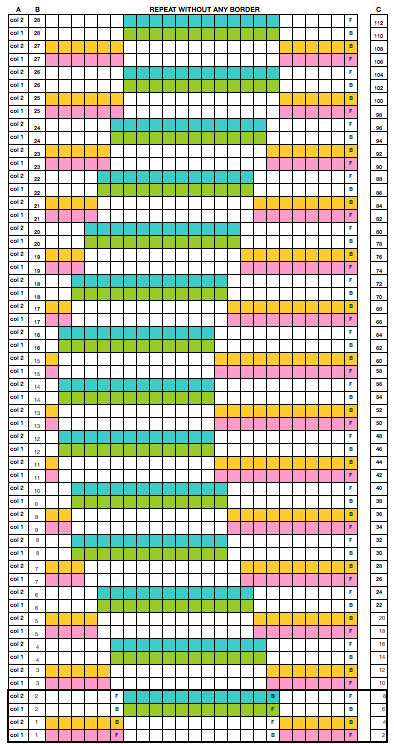 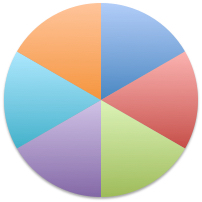 I found it easier to track my work and the edges where the textures need to meet by using an additional pair of colors in the chart itself. Rather than use the crochet terminology I marked my first stitches with F and B for each color, referencing the front/ forward, and rear/ back vertical loops/ posts respectively. 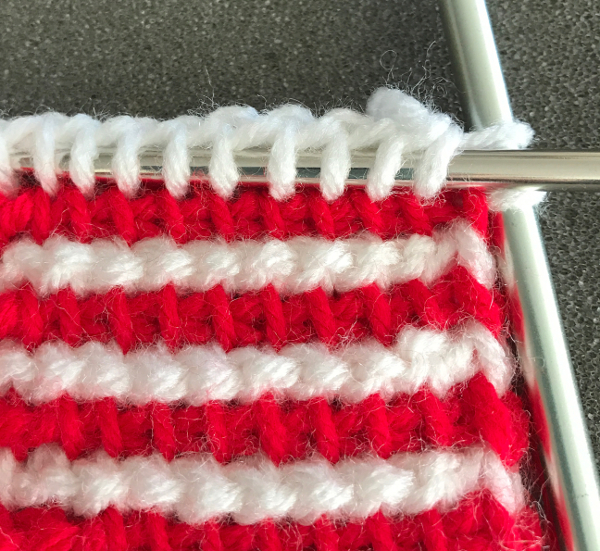 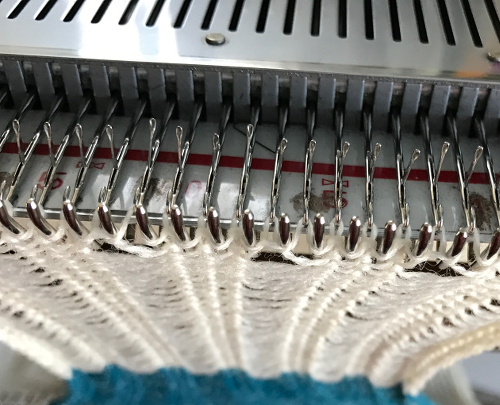 As one moves across the row from right to left, when the color/ texture change is reached, the yarn is brought to the front or the back as needed, and the next color/ texture is worked in the reverse post/ loop. Both swatches were made using similar weight yarns. 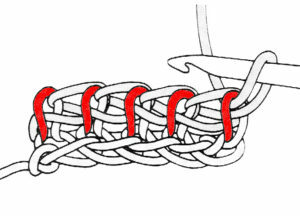 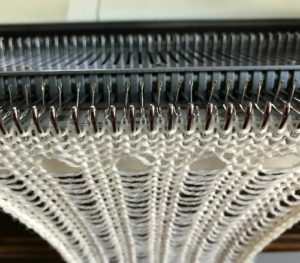 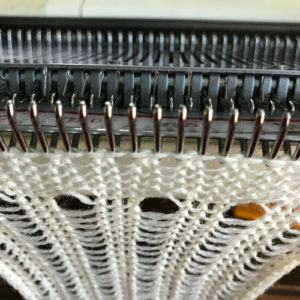 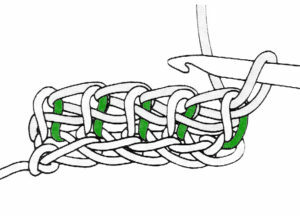 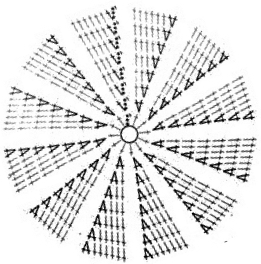 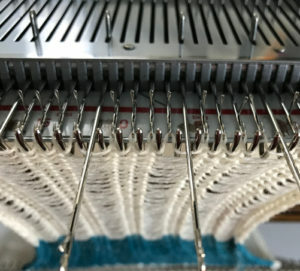 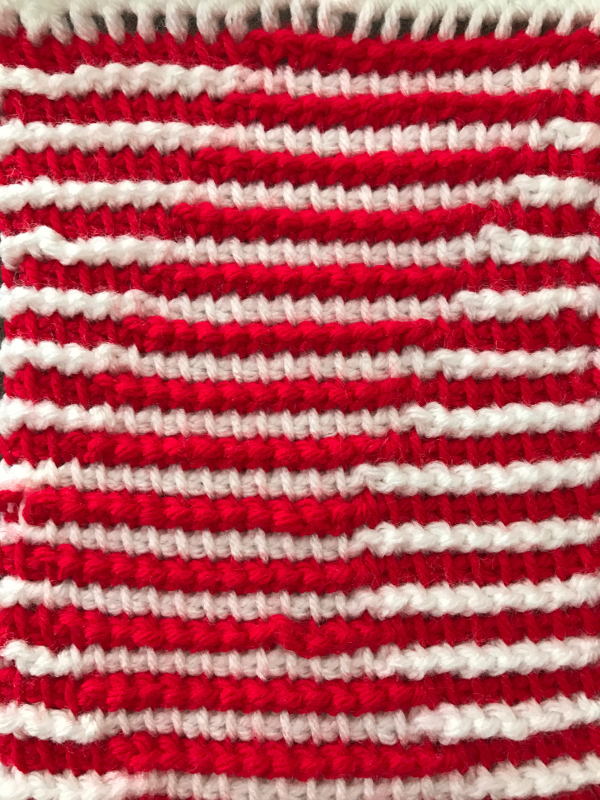 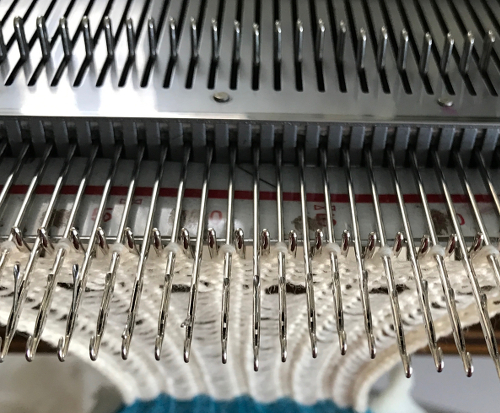 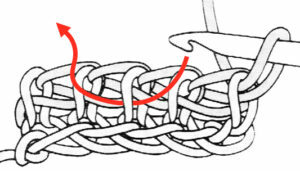 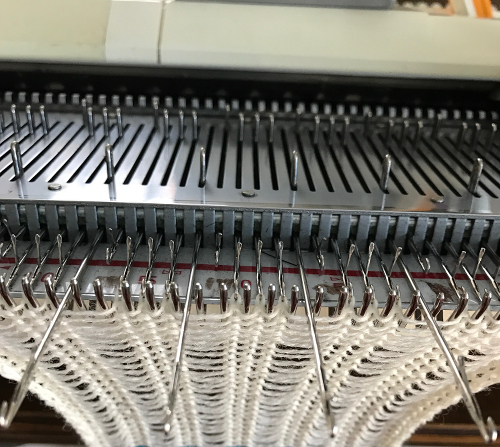 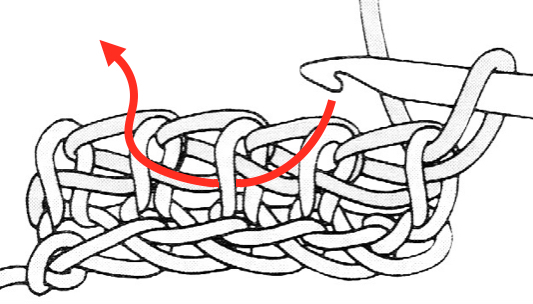 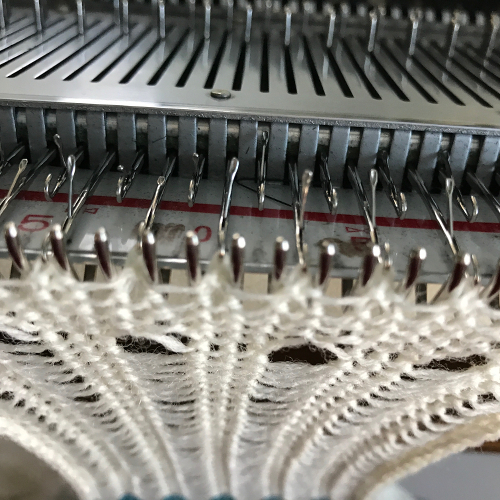 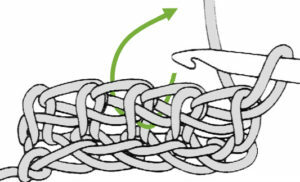 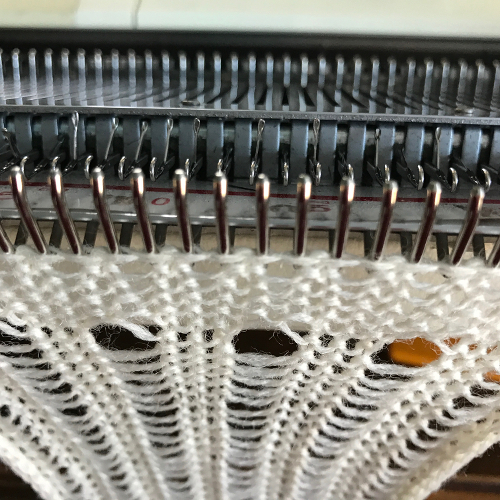 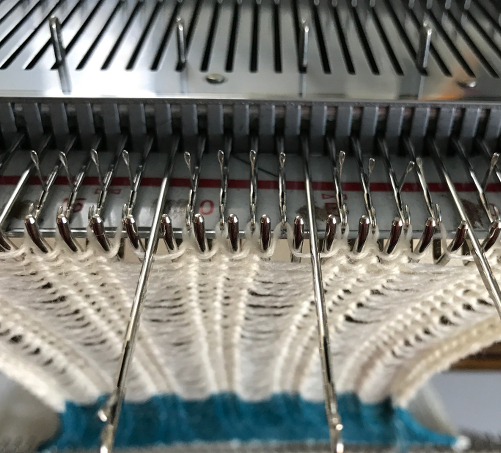 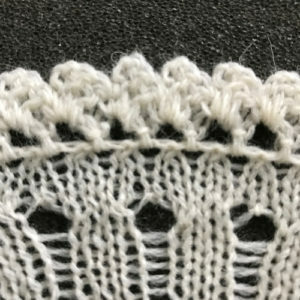 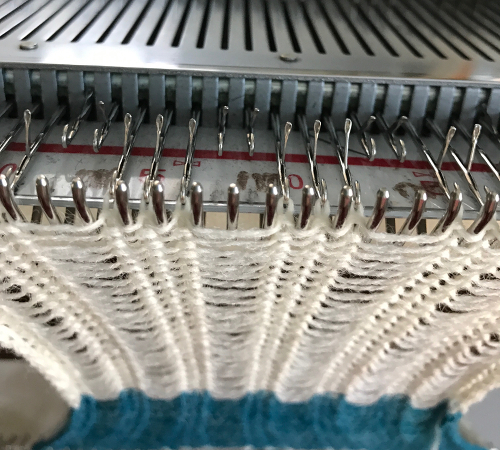 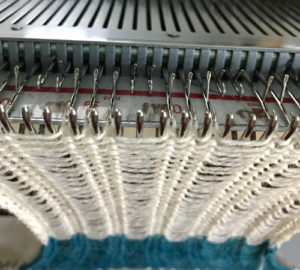 The crochet version required more passes back and forth than in knitting, where the work may be turned over and the texture reversed on each knit row. 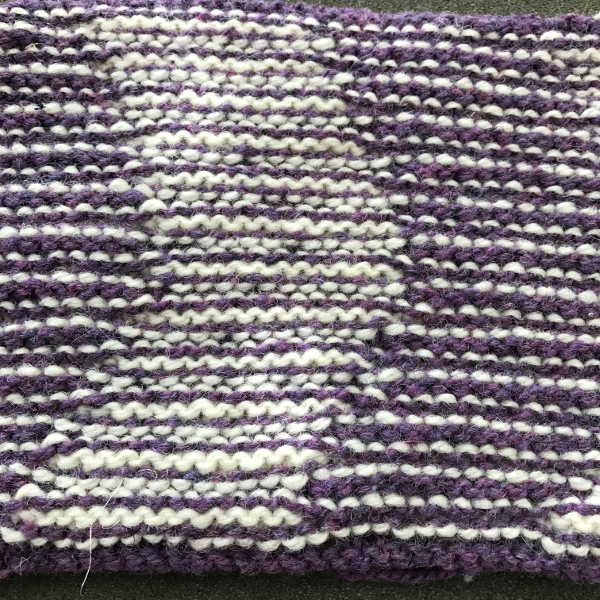 The knit repeat measured approximately 5.5 inches L by approximately 4W, isolating my best guess stitch number equivalent to the crochet one. 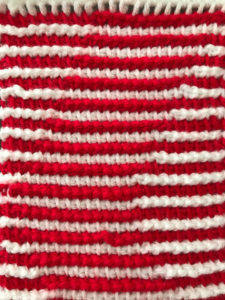 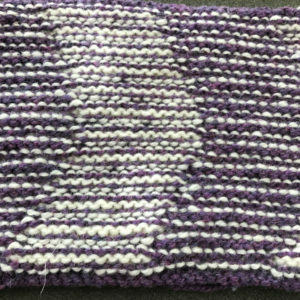 The crochet swatch measures 7 inches L by 6W.